Love needlepoint? 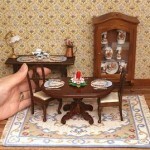 Love dollhouses? You’ve come to the right place! 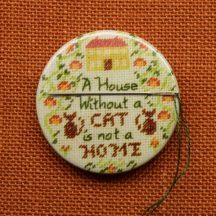 Choose a dollhouse needlepoint kit to give you hours of stitching pleasure, making something unique that will make your dollhouse special! Here’s where you will find the best 1:12 scale dollhouse needlepoint kits around today. Since starting in 1996, my range is now huge – around 300 kits and over 70 chart packs – so there’s bound to be the perfect needlepoint kit for your 1/12th doll’s house here. From beginner to expert – there’ll be something just right for you to stitch. Never done needlepoint before? No problem! If you can cross stitch, you can needlepoint – and it’s quicker, too! See the tutorials pages for how to get started, or just start browsing the sections below. Have fun!